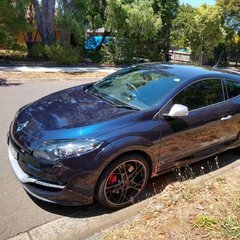 I am in the process of buying a Megane RS265 RB8 (2013). I have discovered that the timing belt is overdue, are these the correct parts? Lot of cheap options on the last link - but are they any good?? Don’t do it yourself unless you have experience specifically with the F4R engine and have the correct tools. Not a chance! So it turns out one of my inlaws works for Renault in France - He is getting me a nice discount on the genuine bits. I was going to ask Waverly Renault or Alpine Affaire to fit the parts in Melb. The downside to supplying parts yourself is that the workshop won’t offer a warranty for your parts, only their labour. So say the tensioner fails it’s your problem unless you can prove the workshop didn’t fit it correctly. Not much point in supplying own parts. Alpine Affair is very reasonably priced.